When you lose your job, you no longer have an income or a feeling of financial stability. But what you might not know is you do keep some benefits. Whether you’ve been laid off, furloughed, downsized, fired from your job or even quit, you maintain your workers’ compensation rights. So you can still file a claim for an injury you sustained while employed. Keep in mind, you will need a doctor to verify your injury is work-related. Also, just as if you were employed, you can file a claim on a pre-existing injury if your doctor determines you aggravated the injury while working. In some cases, you may also want to get tested for ailments. Injuries such as hearing loss, mesothelioma or asbestosis are often job related and can appear years after you leave your job. For an accident claim in New Jersey, you have two years from the date of your accident, which is then extended by authorized treatment or payments. For an occupational exposure claim for exposure to such things as asbestos, dust, chemicals and noise, you have two years from when you knew or should have known you contracted a job-related condition. Employers sometimes look for ways to avoid paying workers’ compensation. For example, an employer may insist you violated a company rule that requires a termination. A common tactic is to focus on instances when you were late or didn’t show up as scheduled. Some employers will encourage you to quit, making you so frustrated (because of substandard job duties, your treatment at work, etc.) that you walk away from the job and hope you never file your claim. What’s more, employers will often watch you closer for rules violations after you’ve been injured. This is a retaliation tactic used to discourage workers’ from filing work related claims. 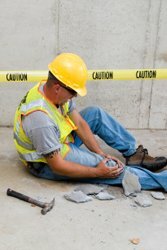 Some employers will outright lie and deny your injury occurred on the job. If you end up losing your job for a reason you view as unfair or sustain an accident or injury, your best bet is to consult a workers’ compensation lawyer. A lawyer experienced in workers’ compensation law gives you access to expert advice gained from dealing with difficulties in all types of claims. The added benefit is you get this insight without any out-of-pocket costs or expenses. Remember, employers have an advantage because they’re familiar with workers’ compensation law. But you eliminate their advantage the instant you put a workers’ compensation lawyer to work for you. A personal injury and workers’ compensation trial lawyer, Ricky Bagolie is co-founder of Bagolie Friedman Injury Lawyers, a personal injury law firm with offices in New Jersey, New York and Florida. Get more of his free tips and insider ideas for protecting your rights after an accident at https://www.bagoliefriedman.com.